94.900€ Expenses and taxes not included. Lovely apartment located in the centre of Torrevieja, in a building with use of a communal pool. This property is located on the 3rd floor of a building of 5 floors with west orientation, inside comprises of a living room with access to a large terrace overlooking the pool, an American kitchen with a window, 2 double bedrooms with built in wardrobes with an exit to terrace from one of them and 1 bathroom. Included in the price is a parking space and a storage room. 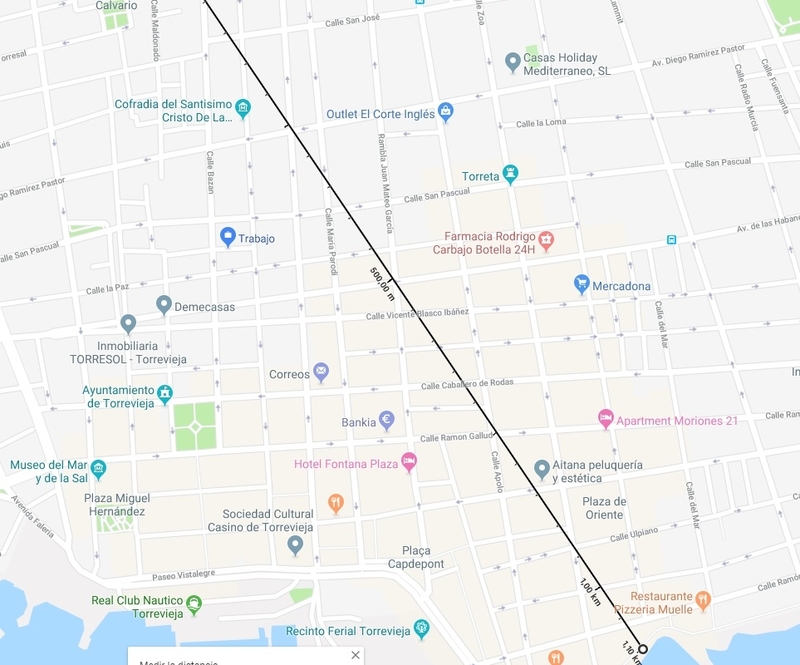 Located a few minutes walk to the centre of the city and the Juan Aparicio and Paseo Vista Alegre promenade, also close to supermarkets, coffee shops, and all kinds of services. Distance to beach: 1,1 km.